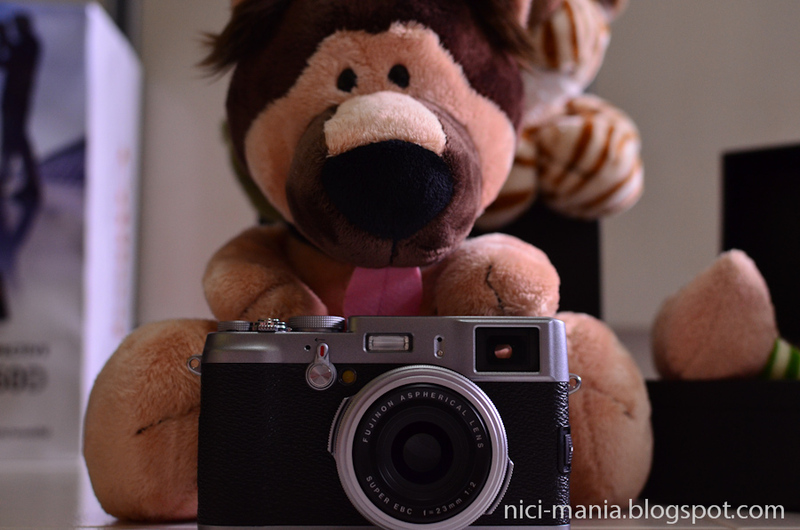 A new camera arrived at NICI-Mania. 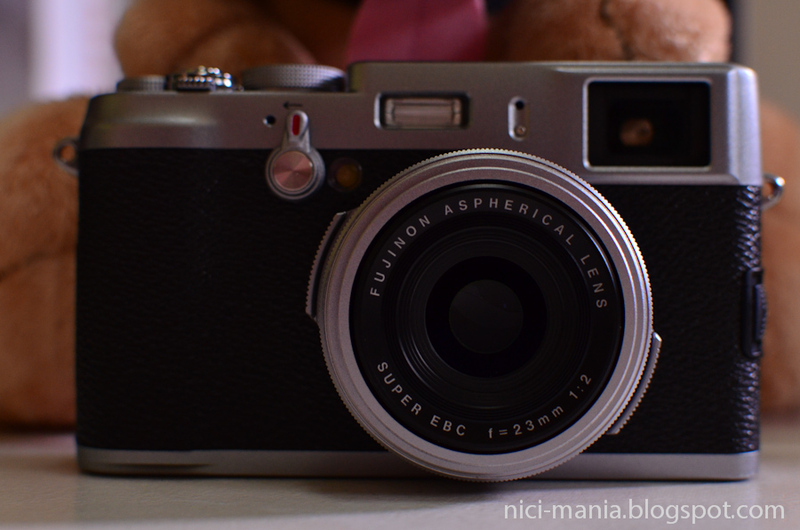 The Fuji X100 mirrorless camera with an APS-C size sensor and a classy vintage vibe! Who's that cute doggy behind? 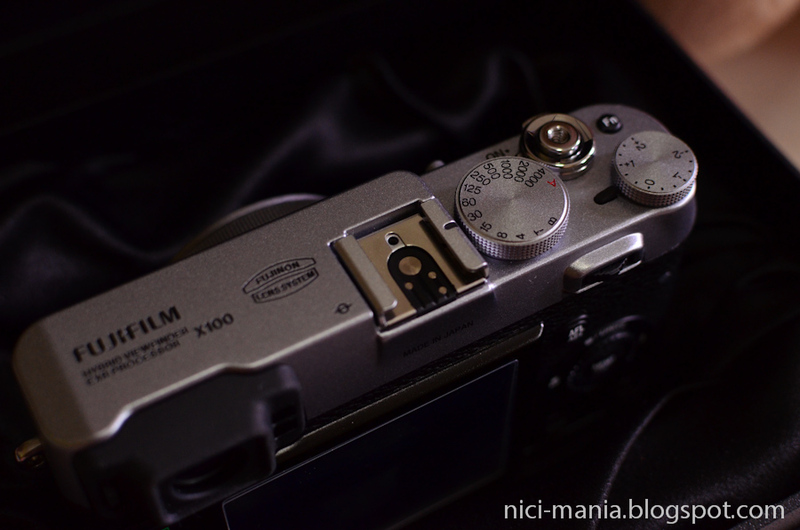 Not gonna go too technical over the Fuji X100 camera, you can read it up on many other web sites. 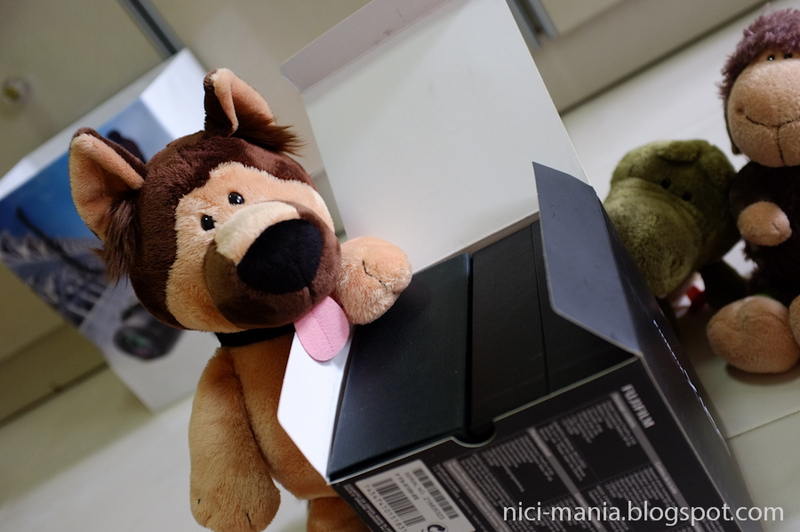 So here is our newly joined NICI German Shepherd unboxing the Fuji X100. 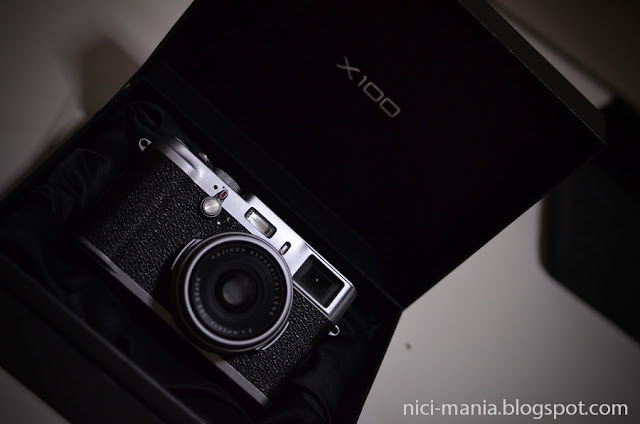 The Fuji X100 is made in Japan and comes in a sleek black box. Curious Jolly Lenny and Nici Crocodile joins in as the camera unveils. 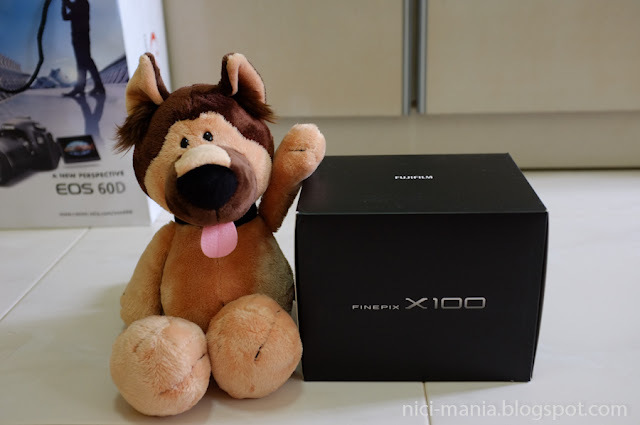 There is two separate box inside, one is the camera and the other is the bundle that comes with the Fuji X100. 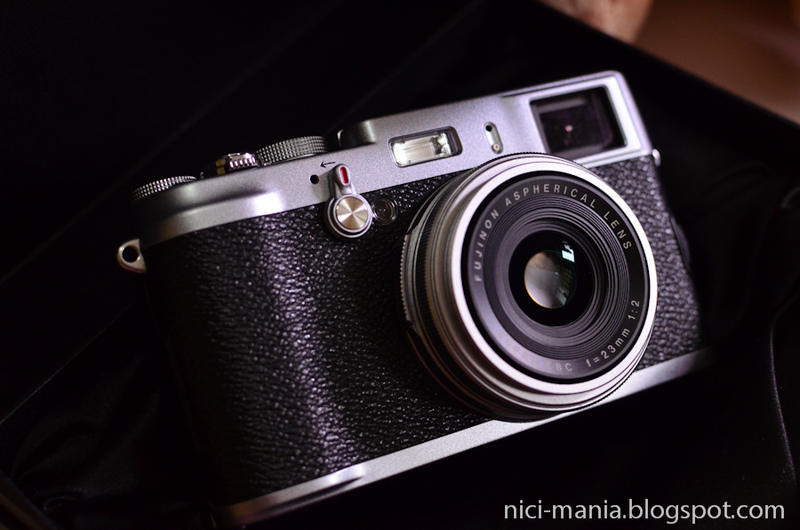 The camera box opens up like a jewellery box revealing the classic beauty of the Fuji X100 inside. 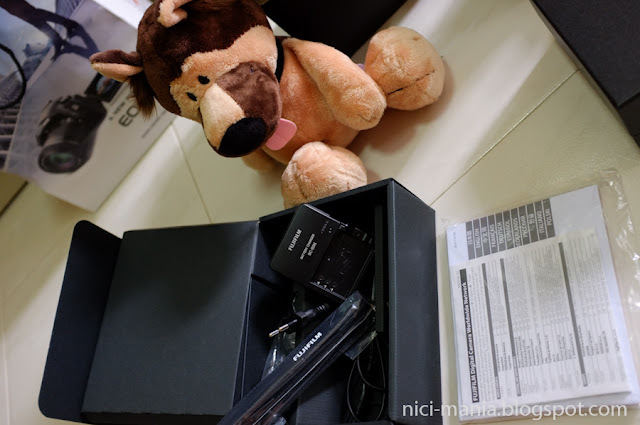 The Fuji X100 bundle box includes the instruction manual, battery charger, Fujifilm strap. The camera comes with additional 16Gb SD card and screen protector. 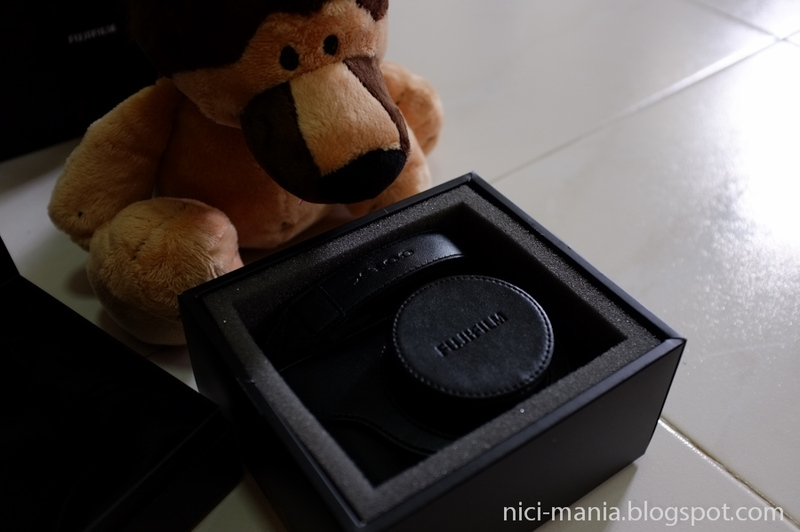 The Fuji X100 also comes with a sleek black leather case and strap. 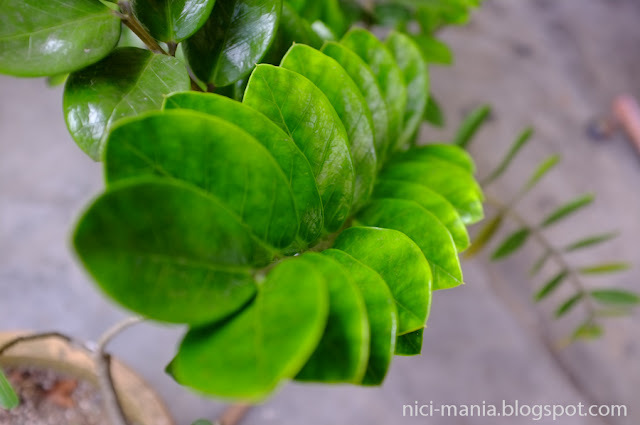 On top of the Fuji X100 spots a shutter speed dial, exposure compensation dial, and also the aperture ring (pictured below) just like your dad's old film camera. There's a small Fn button which you can assign almost any function to it by holding it down. Although the Fuji X100 has been released for more than a year, there are still many people coming up to us asking: "your camera looks very old, is it a vintage film camera?" The highlight of the Fuji X100 is the fixed Fujinon 23mm with 9 blade aperture diaphragm. Yes, no zoom. The aperture goes from f2 to f16. 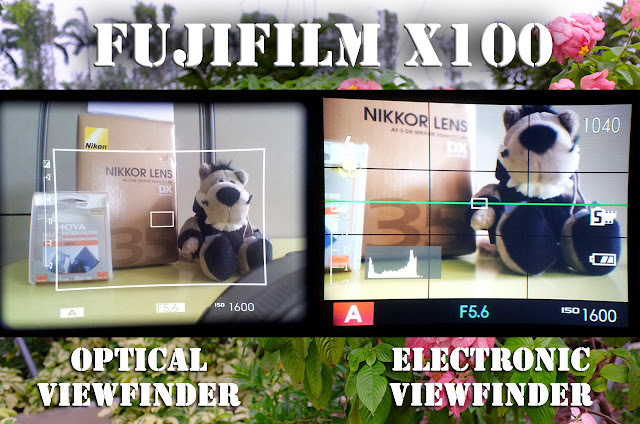 Another special feature of the Fuji X100 is the hybrid viewfinder and electronic viewfinder which can be changed using the flip switch in front. 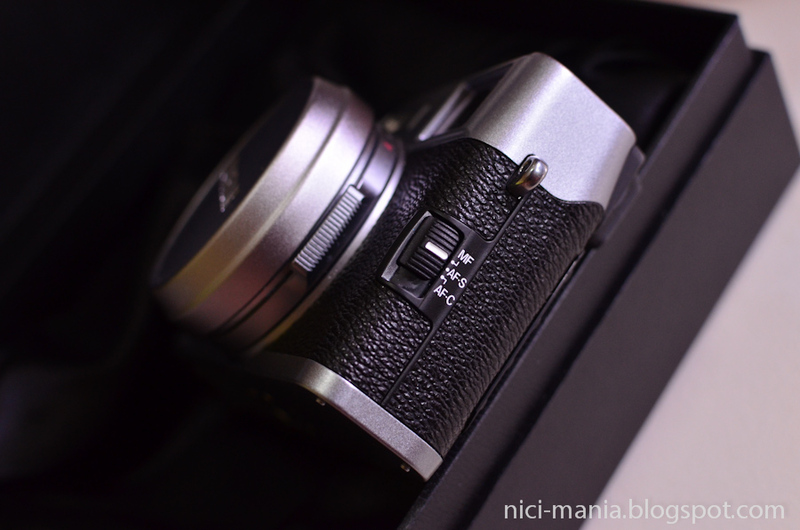 The Fuji X100 optical viewfinder is amazing to shoot with and it is a god-send when shooting in bright sunlight. The electronic viewfinder on the other hand is the visual representation of the lcd screen. 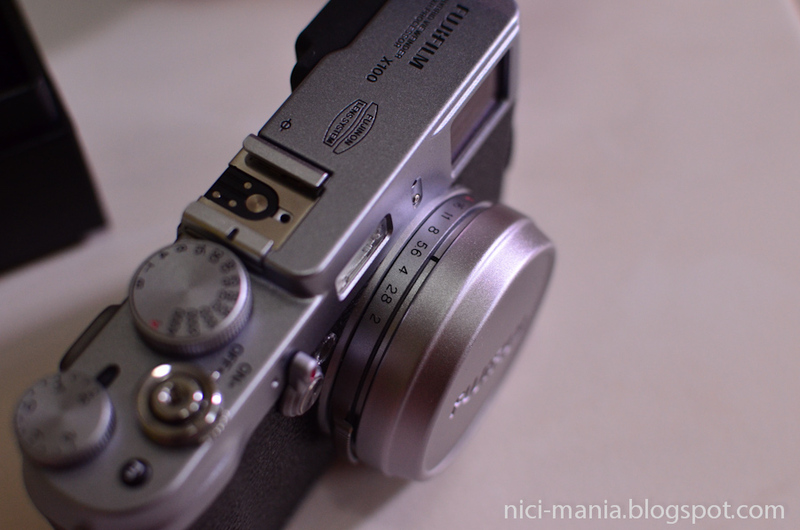 The Fuji X100 menu can be scrolled through using the rotating dial. The RAW button can be assigned to almost any function you want just like the Fn button. So you can enjoy the ease of your 2 most used functions to be set right at your fingertips. Still have our Nikon DSLR around, for the moment. But the Fuji X100 is half the weight, half the size and better images. Some sample pictures of the Fuji X100 (ND Filter turned on to shoot f2 in bright daylight). 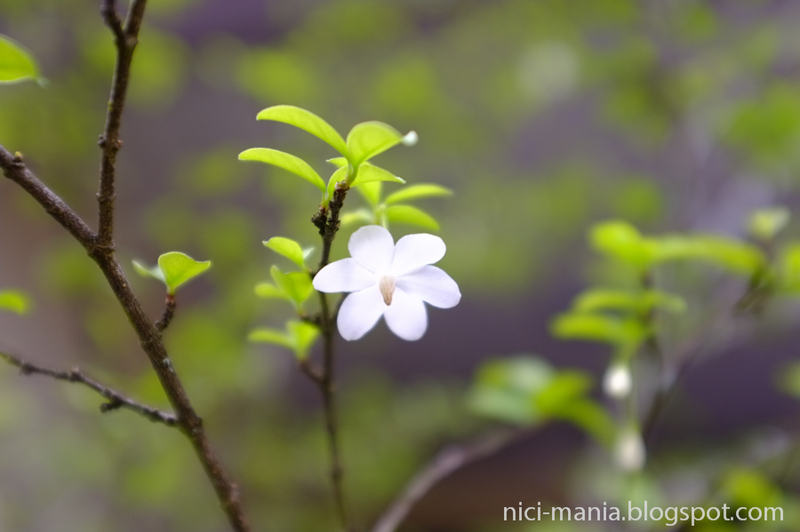 The background blur is smooth and buttery. 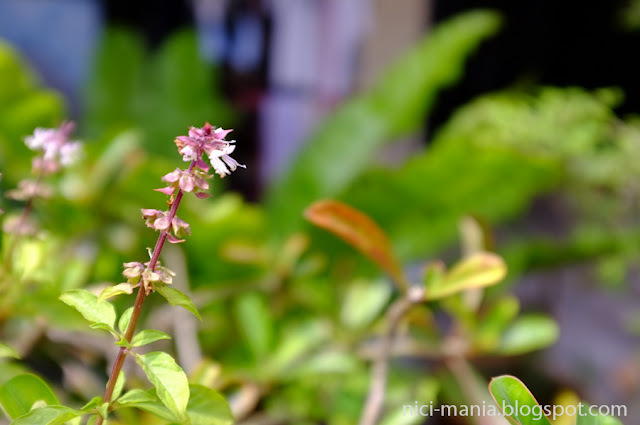 Flower of our basil plant. The Fuji colors are amazing. All pictures straight from camera jpeg. Zilch photoshop. We absolutely love the colors coming out from the Fuji X100 EXR processor. Fuji X100 at iso-6400 indoors, barely any noise in the picture. 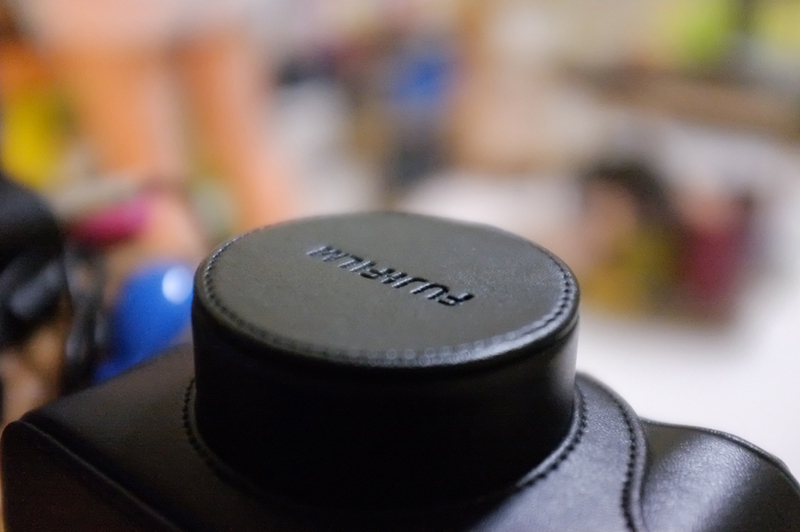 The high ISO capabilities outperforms a cropped sensor DSLR in spades. 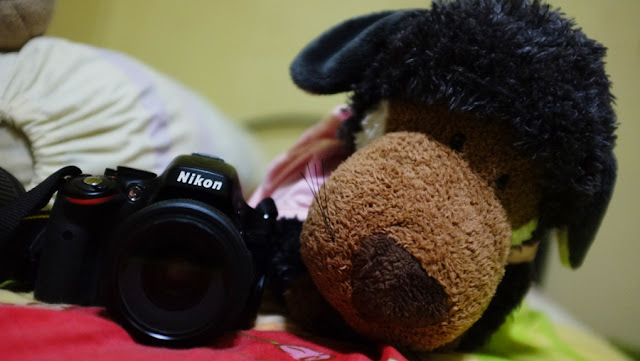 What a beary beautiful camera! 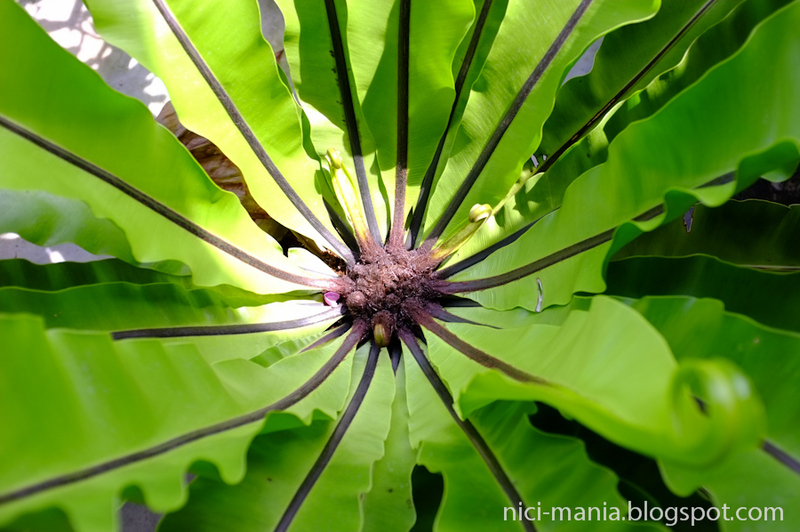 We look forward to seeing lots of photos from your new camera on your blog! Yes Minghui, go for it!!! :)) They are too cute! We have a lot of fun with the German Shepard in our house. But they only bring 35cm and 50cm sizes in. 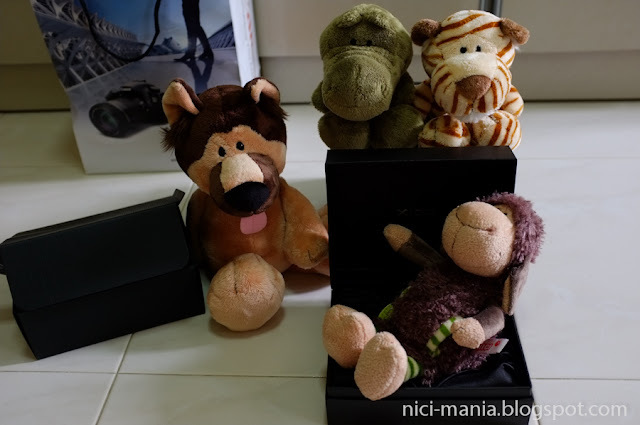 NICI Malaysia will have all sizes but they don't seem to have it there yet.